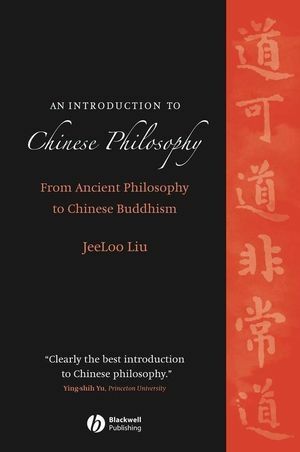 An Introduction to Chinese Philosophy unlocks the mystery of ancient Chinese philosophy and unravels the complexity of Chinese Buddhism by placing them in the contemporary context of discourse. Elucidates the central issues and debates in Chinese philosophy, its different schools of thought, and its major philosophers. Covers eight major philosophers in the ancient period, among them Confucius, Laozi, and Zhuangzi. Illuminates the links between different schools of philosophy. Opens the door to further study of the relationship between Chinese and Western philosophy. JeeLoo Liu is Associate Professor of Philosophy at California State University at Fullerton. In addition to Chinese philosophy, she specializes in the philosophy of mind and metaphysics. She has published articles in the Journal of Philosophical Research and the Journal of Chinese Philosophy. Introduction: What Is Chinese Philosophy?. Part I: Ancient Chinese Philosophy. 1. Yijing (I Ching): the Cosmological Foundation of Chinese Philosophy. 2. Confucius (Kongzi) in the Analects. 8. Hanfeizi (Han Fei Tzu). 9. The Consciousness-Only (Wei-Shi) School. 10. The Hua-yan (Hua-yen) School. 11. The Tian-tai (T’ien-t’ai) School. 12. The Chan School (Zen Buddhism). Unravels the complexity of the four major schools in Chinese Buddhism.